30 Jan 2019 – The Democratic Republic of the Congo (DRC) is both one of the richest countries in the world, and one of the poorest. It is one of the richest countries in terms of raw materials—essential goods such as cobalt and coltan, which make electric cars and smartphones work. The current estimate of the DRC’s raw materials is $24 trillion. This is a mind-blowing number. It is probable that the DRC is the richest country in the world in terms of its natural wealth. But the overwhelming majority of the citizens of the DRC live in extreme poverty. The DRC sits in 176th place out of 189 countries in the UN’s Human Development Index. Of its 79 million residents, 5 million are internally displaced, and large numbers of the population live near starvation and illiteracy. The government in Kinshasa flounders in debt, with the fiscal deficit in negative territory. Close to 80 percent of the DRC’s public finances comes from its export of minerals such as copper, cobalt and coltan. So much of these minerals are plundered from the country, leading to a loss of revenue for the government in Kinshasa. This is why the public finances of the country are in a mess. The World Bank, which crafted Congo’s post-conflict mining law, scratches its head at this conundrum—rich in resources, impoverished country—and suggests that the problem is “political instability.” The bank, like other external actors, concentrates on the wars that have wracked the DRC and the entire Great Lakes region of Africa since the 1990s. But the fact is that the DRC—like much of the African continent—has much older problems. These problems are rooted in the colonial period, when the continent was treated merely as a source for the extraction of raw materials. Ruthless Belgian colonialism killed off millions of the people of the Congo, stealing rubber and leaving behind nothing for the people. When the Belgians had to relinquish their hold on the Congo, there was not even one Congolese doctor, economist, or engineer. High-level education was stolen from generations of Congolese. This is the start of the problem. When the Congolese tried to drive their own agenda—led by Congo’s first democratically elected prime minister, Patrice Lumumba—they were abruptly halted, primarily by the United States. 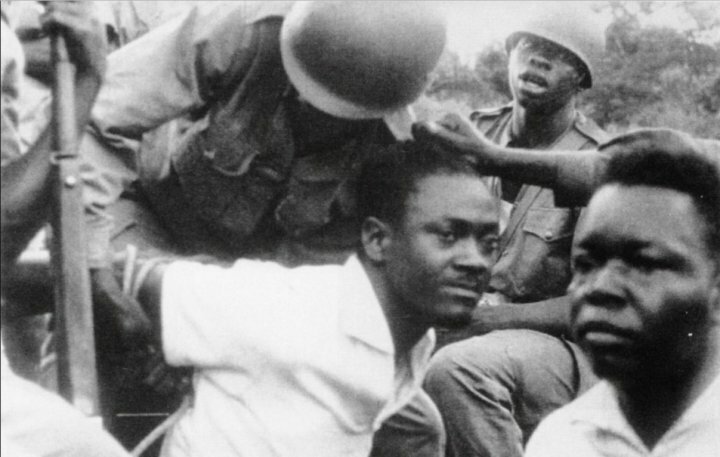 The CIA overthrew Lumumba, who was subsequently assassinated. The West then installed and maintained Mobutu Sese Seko in power for over three decades. Mobutu worked in cahoots with Western monopoly firms to steal raw materials as long as he was given his cut in Swiss banks. Plunder defined the Congo’s colonial history, and it defines its post-colonial present. The structure was set by the Belgians, was developed by Mobutu and his Western backers, and is resilient to this day. The Africa Progress Panel—headed by the late Kofi Annan—reported that between 2010 and 2012, Congo’s state mining firm (Gecamines) sold mining concessions for about $1.4 billion less than their market value. The DRC’s annual budget is around $6 billion. The loss of the revenue from those concessions is therefore a serious penalty. It is this free-for-all attitude toward Congo’s resources that defines its problems. It is this culture of plunder that enables monopoly firms—many of them Canadian—to extract raw materials at rock-bottom prices. The region around the Congo has been at war for at least two generations. In the 1990s, states that neighbor the DRC, backed by the U.S. and the UK, triggered the deadliest conflict in the world since World War II. Wars of aggression between 1996 and 1998 killed an estimated 6 million Congolese. Mobutu fell from power. Laurent Desire Kabila, a comrade of Lumumba, and his forces took Kinshasa and governed for a brief period. Kabila was killed in 2001. Western—mainly Canadian monopoly firms were able to gain access to raw materials. Government officials were able to earn bribes from these firms and their middlemen. Neighboring countries were able to extract Congo’s minerals at will, with the help of rebel militias. The DRC’s population was left desolate. This had become the normal situation since the late 1990s. Over the past two years, Congolese youth inspired by the teachings of Lumumba took to the streets. They, along with the working class and the urban poor, forced Joseph Kabila not to run for a third term. His constitutional mandate ended in 2016. But Kabila refused to leave office and refused to hold elections. The mass struggle forced the state to hold elections in December 2018. Kabila thought he could hold onto power through the presidency of his interior minister—Emmanuel Ramazani Shadary. Many felt that Shadary would automatically win the election. But the opposition galvanized around Martin Fayulu, a former ExxonMobil executive. Fayulu led the Lamuka slate, which attracted wide support. Two key supporters of Fayulu broke with Lamuka to form the Coalition for Change, with Felix Tshisekedi as the presidential candidate and Vital Kamerhe as his supporter. This fragmentation damaged oppositional unity. Despite claims of electoral fraud, Congo’s electoral commission and Constitutional Court declared Tshisekedi winner of the December 30 elections, and he was sworn in as president on January 24. The Kabila regime came under enormous pressure during the elections. It is believed that Kabila entered into an agreement with Tshisekedi as his best option not to unravel the structure set in over the past two decades. Fayulu, whom many believe won the elections, was unpalatable to Kabila. No question that Tshisekedi will not attack the culture of plunder that defines the DRC’s economy. Kabila’s coalition will likely control the security forces, the Ministry of Mines and the prime minister’s office. Kabila’s coalition, the Common Front for the Congo (FCC), has control over 22 of 26 provincial assemblies, which means it will control the Senate and attempt to box in Tshisekedi. The DRC has the world’s largest reserves of cobalt. This mineral is essential to the burgeoning electric car industry and the aerospace industry. No one in the business world believes that the elections will usher change in their economic relations with the DRC. They don’t want change. They want the status quo. The culture of plunder works well for monopoly capitalism. The people of the Congo scratch and claw for an alternative. They live in abject poverty. Their poverty is unbearable. Their hopes are captured in Baloji’s rap treasure, “Le Jour d’Après/Siku Ya Baadaye,” “My country is an emerging continent.” Despair is unaffordable for the Lumumba-inspired youth. They find it intolerable that the richest country is also the poorest. The contradiction is too stark. Their protests aim to overcome that contradiction, to break the culture of plunder. They will liberate Africa. That is their audacious promise to the continent. 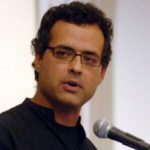 Vijay Prashad is an Indian historian, editor and journalist. He is a writing fellow and chief correspondent at Globetrotter, a project of the Independent Media Institute. He is the chief editor of LeftWord Books and the director of Tricontinental: Institute for Social Research. He is the author of 18 books, including Arab Spring, Libyan Winter (AK Press, 2012), The Poorer Nations: A Possible History of the Global South (Verso, 2013), Red Star Over the Third World (LeftWord, 2017) and The Death of the Nation and the Future of the Arab Revolution (University of California Press, 2016). Kambale Musavuli, a native of the Democratic Republic of Congo, is a social entrepreneur and an international human rights advocate. He serves as the national spokesperson for the Friends of the Congo, a group that raises global consciousness about the situation in the Congo and provides support to local institutions in the Congo.